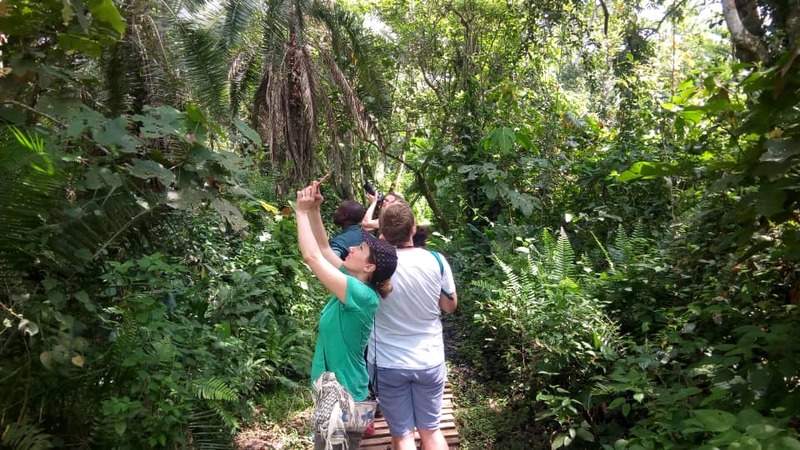 Your 5 days Murchison Falls National Park Uganda birding safari is a birding safari in Uganda that offers you an opportunity to tick over 400 bird species from your list in a single safari. 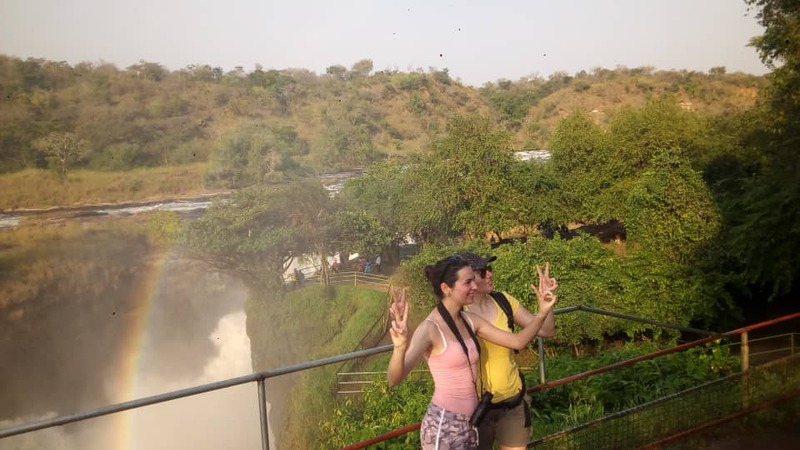 This safari to Murchison falls national park which is the largest and oldest safari park in Uganda features birding in Mabamba wetland, Entebbe Botanical gardens, Bugungu wildlife reserve and many spots along the way. “Uganda is arguably the best country in Africa for birds, with more than 1000 species recorded in an area the size of Great Britain”. Philip Briggs a Bradit guides writer wrote. Uganda is exclusively adorned with a whole 1,078 confirmed bird species with 24 Albertine rift endemics and 1 country endemic- the Fox’s weaver. These bird species count to about 50% of Africa’s species making the country Africa’s birding paradise that you can’t afford to miss only on a bird watching tour in Uganda. Murchison falls national park alone hosts more than 450 bird species of which you will see most of them on your Uganda birding tour topped up with other bird species from other destinations. This diversity in the bird species is a result of the large land mass which ranges from forest, swamps, riverine woodland, savannah and plains of acacia trees. Day 1: Your safari will start with birding in the morning at Mabamba wetland and Entebbe Botanical gardens in the evening. 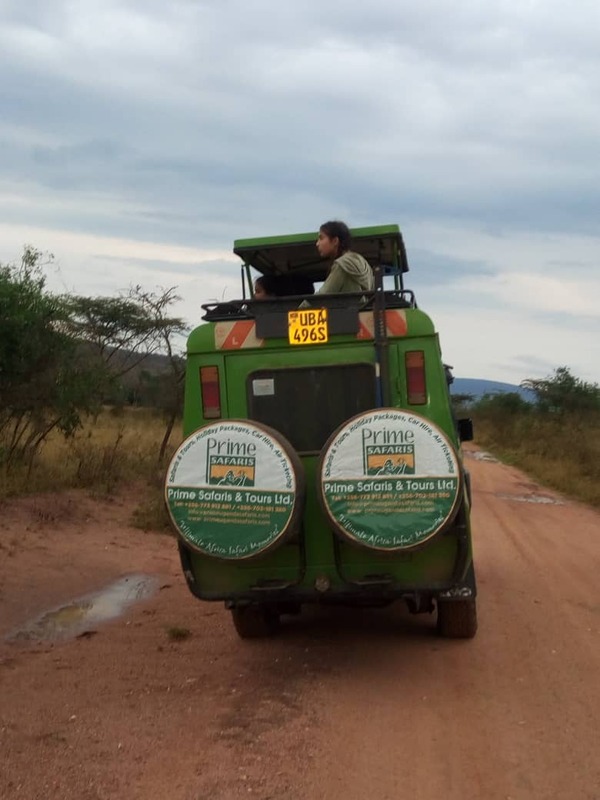 Day 2: Your Uganda birding safari driver guide will drive you to Ziwa Rhino sanctuary where you will do rhino tracking on foot as you sight birds. In the evening, you will do birding along Kafu-Masindi stretch. Day 3: You will do birding at Royal mile Budongo in the morning then drive through Bugungu to Murchison falls national park. 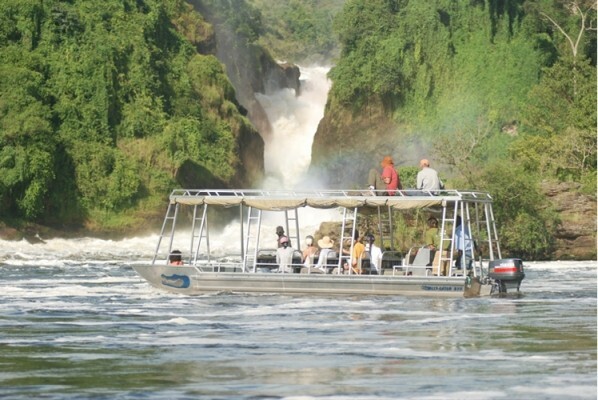 Day 4: You will spend the whole day within Murchison Falls national park, do a game drive and a boat cruise. Day 5: On this last day, you will do bird watching along the Pakwach stretch then return to Kampala. On the first day of your safari, you will go birding to Mabamba wetland south west of Entebbe as early as 7:00am. 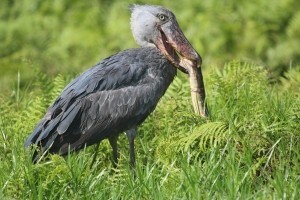 This is the best spot to sight the elusive shoebill stork. 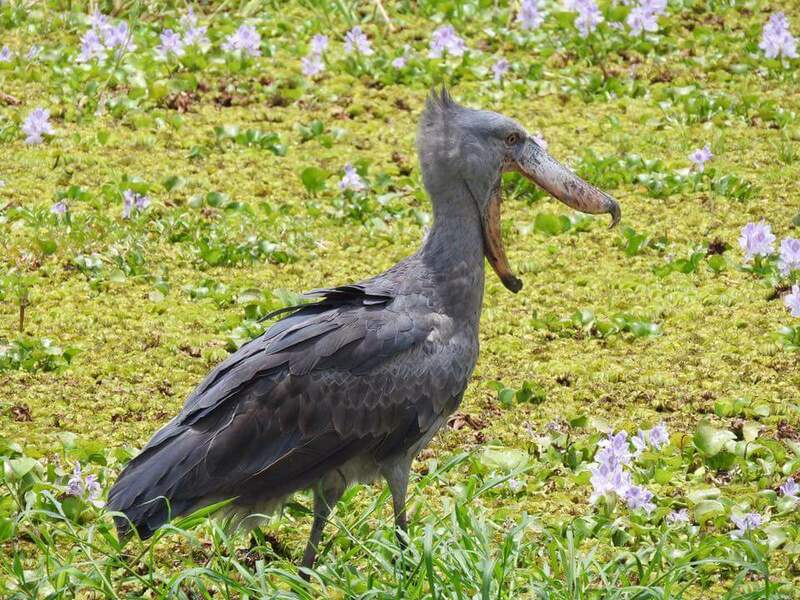 The other bird species to tick off your list in Mabamba include the Swamp Flycatcher, African Water Rail, African Purple Swamp-hen, Common Moorhen, African Jacana, Lesser Jacana, African Pygmy Goose, White-faced Whistling-duck, Rufous-bellied and Purple Heron, Winding Cisticola and many more. In the evening, you will go birding at the Entebbe Botanical gardens then be driven to your lodging facility for dinner and an overnight. 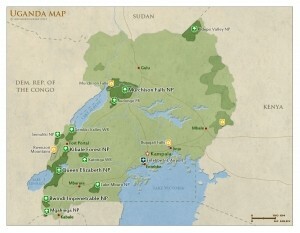 By 7:00am, your driver guide will rive you towards Murchison falls national park stopping at Ziwa Rhino sanctuary. Here you will sight several savannah bird species as you track the only Rhinos in Uganda on foot. You will then continue with your drive as you sight several savannah bird species along the kafu-Masindi stretch where you will sight several Warblers, Savannah Apalis and weavers. After breakfast probably in Masindi, your driver guide will pick you up at your lodging facility and start the drive to Royal mile in Budongo Forest for a memorable birding excursion through this moist forest at the edge of the Albertine rift. In the evening, you will be driven through Bugungu wildlife reserve which has a wide range of savannah bird species then enter into Murchison falls national park. Anticipate to be in the park for a morning game drive that will last about 2-4 hours, have a lunch break then go for an evening boat cruise at 2:00pm. 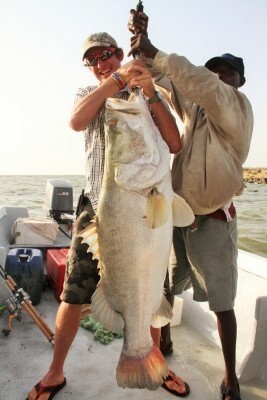 After the evening boat cruise, you will slowly be driven back to your hotel as you sight several wild species at sunset. Alongside the wildlife seen, you will see several bird species like the Black-billed Barbet, Red necked Francolin, Hugli’s Francolin, Northern Carmine Bee-eater, Whistling Cisticola, Martial Eagle, Denham’s Bustard, Malachite Kingfisher and many more. 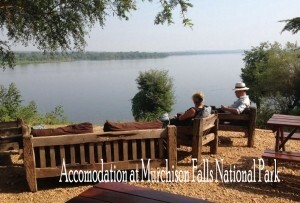 You will be driven back to your accommodation in Murchison Falls national park for dinner and an overnight. On this last day of your safari, you will go for early morning birding along the pakwach stretch. During this birding excursion there are high chances of sighting the Red-faced Cisticola, Northern Red Bishop and many more. After lunch, you will be driven back to Kampala and if time allows, you can go for a short birding excursion in Busega swamp in search of the papyrus bird species like the Papyrus Gonolek if you missed some at mabamba wetland. The bird list ticked on this safari is overwhelming and rewarding just like any other 5 days safari in Uganda especially the amazing gorilla trekking safari in Uganda to Bwindi impenetrable national park or a Uganda wildlife safari to any other safari park. Its not easy finding a place filled with several bird species like this, it’s only on a birding safari that you can confirm to these great birding numbers.